First invented in the early 1950s by Swiss-born Canadian businessman Julius Sämann, Little Trees air fresheners can be found hanging from the rear-view mirrors of vehicles around the world. The air fresheners are now available in dozens of fragrances ranging from Cotton Candy to Pina Colada to New Car Scent. The classic scent of Royal Pine that started it all was influenced by the aromatics that Sämann had studied in the forests of Canada. 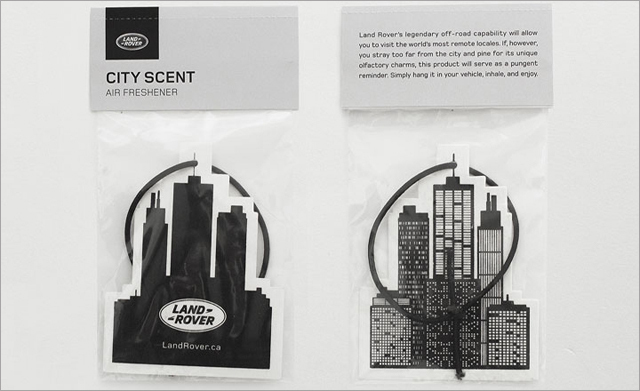 Speaking of the Canadian outdoors… to promote the introduction of the Land Rover Range Rover Sport, Y&R Canada has released a limited edition “City Scent” air freshener for your car featuring the smell of concrete, smoke and hot asphalt. 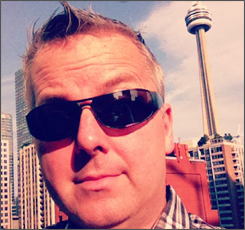 City Scent will provide a pungent reminder to those drivers who wander too far away from town. The limited edition air fresheners are available to Canadian residents who sign up for updates at LandRover.ca.